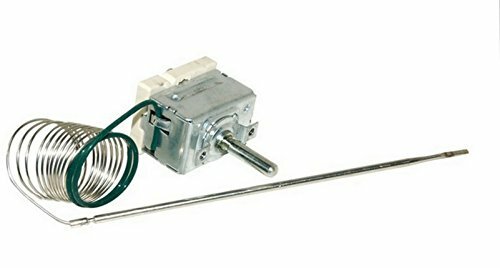 Replacement Main Thermostat temperature control made for bartyspares to fit Flavel Oven / Cookers. Fits Models: AP10FRK AP10FRK AP10FRS AP5PDS AP5PDW CM101FRKP CMTF99B CMTF99K FL95CRX FL95FRXP FN10FRK FN10FRS FN10FRSP FSBE50T FSE50S FSE50W GR6CVK ML10CRS ML10FRSP ML5CDW ML61CDS ML61CDW ML6CDS ML6CDW ML6FDWP MLB5CDT MLB5CDW. Premium quality, fully compatible direct replacement thermostat.